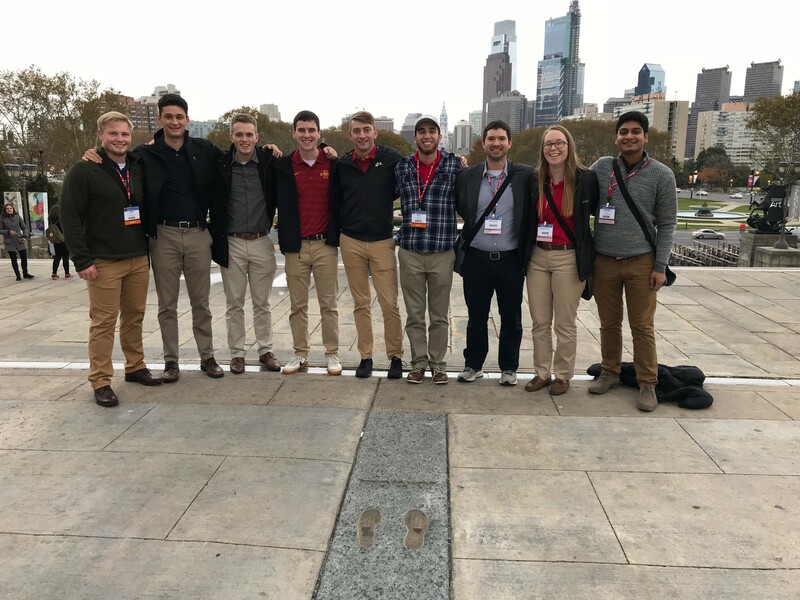 ISU DBIA’s student competition team gathers for a photo at the top of The Rocky Steps in Philadelphia. Photo courtesy Trent Cork. Members of the Iowa State University Design-Build Institute of America (ISU DBIA) student competition team took fourth place during this month’s 2017 DBIA National Student Competition. Competition events were hosted at the annual Design-Build Conference and Expo in Philadelphia, Pennsylvania. To qualify for national competition, the team placed first place in the Midwest region. In total, teams from nine different regions competed at the national competition. First place went to Washington State University. Cork says that collaboration is one of the best parts of ISU DBIA. He and his fellow members work with both engineering and architectural majors on the team’s competition request for proposal (RFP). Jennifer Shane is a professor of construction engineering in the civil, construction and environmental engineering department and the adviser of the ISU DBIA student competition team. Interested in ISU DBIA and more student competition teams? Check out their achievements on our Facebook, Twitter and LinkedIn accounts (Iowa State University Civil, Construction and Environmental Engineering and ISUConE).